For over a decade, the editors of Food Logistics Magazine have published an annual list of software and technology providers that play a prominent role in the global food and beverage supply chain. With a variety of benefits ranging from reducing food waste to extending shelf life, the technology provided by these companies ensures the safe and efficient distribution of food and beverages to the public. In the 11th annual instalment, the 2014 FL100+ list features companies whose products continue to innovate and ensure food and beverage companies can successfully accomplish business goals and objectives. 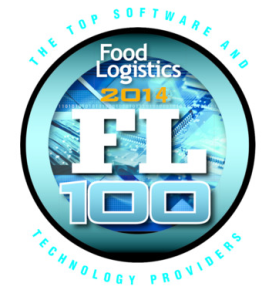 We are pleased to announce that Blue Link’s Accounting and Inventory Management ERP software has been included in this year’s edition of the Food Logistics FL100+ list. This marks the second time in the past three years that Blue Link has been recognized by Food Logistics for its contribution to the food and beverage industry. Blue Link is known for providing integrated ERP software geared towards small to medium-sized wholesalers and distributors across a wide variety of industries. It is Blue Link’s dynamic components such as lot tracking for traceability, multiple units of measurement and landed cost tracking that makes its software so valuable to food distributors across North America and ultimately warranted its inclusion in the FL100+ list. Lot tracking is arguably the most prominent feature included in an effective food inventory management software package for food wholesalers and distributors. Lot tracking functionality essentially provides a company with the ability to trace the path of a batch from supplier to end consumer. The magnitude of this specific functionality should not be overlooked by food companies hoping to remain compliant with FDA and CFIA regulations, as each governing body requires proper lot tracking protocols to be in place. With many highly publicized food recalls in the past, such as the Listeriosis outbreak of 2009, the onus falls on the food distribution and wholesale companies to act swiftly and provide tracking information to ensure the safety of the public. In the unfortunate case of a recall, it allows a company to identify specific lots of products to be recalled, eliminating the need to recall every item if only specific groups were affected. Multiple units of measurement is another convenient feature that helps to improve efficiencies in many food wholesalers’ and distributors’ daily operations. Opposite from durable goods, food companies must manage food items being sold in a number of different units of measurement, such as weight, volume or in groups containing multiple items. An effective food distribution software should be able to properly account for these different units of measurement. Although landed cost tracking is not a feature specific to the food industry, it still represents functionality that can be vital to streamlining a food companies operations. Landed cost tracking allows a food distributor to determine the actual cost of a shipment. This essentially means that the software will report all the expenses related to the acquisition of products; including freight and duty. Providing food distributors and wholesalers with this specific functionality helps them determine effective margins and understand their true costs. These are examples of software features that support growth and ensure safety in the food and beverage industry while simultaneously lowering operating costs and improving overall productivity. Blue Link is incredibly honored to be recognized and included in the 2014 FL100+ list and we hope to continuously innovate and expand our offering to wholesalers and distributors in the food industry.